The Kiwi has risen by US6.2c since late August after initially dropping from an all-time high of more than US88c in mid-July 2014. The 16th of October saw a 2.2 percent gain against the greenback in a single week alone, with the trade-weighted index climbing from 72.61 to 73.07. With 9.6 percent gains over the last month, the Kiwi has enjoyed its biggest 30-day gain since April 2011. The recent six-year Kiwi low can be attributed to expectations of an early US rate hike, pessimism about the local economy, and a decline in Chinese data. These factors helped to sap investors' demand for the Kiwi, with all of these indicators now starting to turn around. According to Sam Tuck, senior FX strategist at ANZ Bank New Zealand in Auckland, "Where we were at 62 (US cents) was obviously where those three things were pointing downwards in September, and they've just started to turn and here we are now with all three factors pointing up... The kiwi's run feels a little bit overdone." The future of the New Zealand dollar depends greatly on the US dollar, with a strong Kiwi looking more likely as prospects of a rate rise from the US Federal Reserve get more remote. According to Raiko Shareef, currency strategist at Bank of New Zealand, recent moves in the dollar are mainly down to global confidence: "I think it's been about a change in global investor sentiment... Investors seem to have taken a glass-half-full approach to the world today... Instead of being worried about weakness in global growth, investors are more comforted by the fact that it seems that US rates are going to stay low for a bit longer." Local conditions are also much more positive, with inflation unchanged at 0.4 percent in the September quarter and the possibility of further interest rate cuts definitely on the table. New Zealand's two-year swap rate has also increased by one basis point to 2.71 percent, with the 10-year swap rising two basis points to 3.49 percent. New Zealand is also experiencing a significant yield advantage at the moment, with interest rates now at 2.75 percent compared to many developed markets at zero or even in negative territory. The strong New Zealand dollar has already led to petrol price drops, with further decreases at the petrol pumps likely. According to AA Petrolwatch spokesperson Mark Stockdale, "Since the last time prices changed, which was just over a month ago, the exchange rate has actually gained 4 cents in that time and in the past month commodity prices have actually fallen slightly... So overall, in our view, there is definitely scope for fuel companies to cut prices by another couple of cents, especially on petrol." 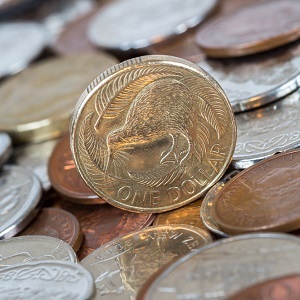 Market sentiment is not all positive, however, with some analysts calling the recent New Zealand dollar bounce over-ripe and forecasting new lows of US60c. "We'd be sellers." said the National Australia Bank (NAB) in a recent note, adding "The market might have its rose-tinted glasses on right now, but we wonder how long it can last... After this current squeeze in risk assets loses steam, we feel the balance of risks favor New Zealand dollar downside,"